Aquatic educator, coach, official, participant, innovator and “swim ambassador” for 47 years, Sid Shapiro was a fixture at the Westside Jewish Community Center from 1957 until his retirement in 1984. In 1972, the United States National Aquatics Association appointed him “Ambassador of Aquatics”. Countless swimmers, young and old, have called him coach, instructor, teacher and/or confidant over the years. Shapiro represented the American Red Cross and Boys Clubs of America, U.S. Swimming, Jewish Centers, U.S. Committee Sports for Israel, Maccabi Athletic Club of Los Angeles, and the Southern California Swimming Coaches and Officials Association. In 1965, Shapiro created the "Swim-nastics" water-exercise program for senior adults. The program was so successful it was adopted by the YMCA and renamed "Twinges & Hinges" to accommodate the National Arthritis Foundation. He also helped pioneer the "Parent-Child Swim Experience", an infants/pre-school learn-to-swim and water safety program. Shapiro has dedicated countless hours to preparing swimmers for all levels of watersports competition, including the North American Maccabi Youth Games and the World Maccabiah Games. Many of his students have gone on to national and international honors in swimming and water polo. 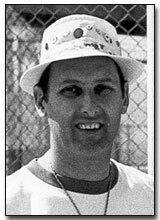 Sid was manager of the 1977 U.S. Maccabiah Water Polo Team (silver medal). At the 1979 Pan American Maccabiah Games in Mexico City, he coached U.S. swimmers to a bronze medal, and won his own bronze medal as a playing member of the U.S. Golf Team. Sid coached Southern California swimmers to great success at the 1984 North American Youth Games in Detroit, and succeeding Youth Games in 1986 (Toronto), 1988 (Chicago) and 1990 (Baltimore). He has been a Maccabi USA/Sports For Israel consultant for international events since 1961.